METTLER TOLEDO's weighing and dosing expertise and manufacturing competence goes into every analytical balance to bring you outstanding weighing and dosing performance. In combination with laboratory software and dedicated weighing accessories, you can create a customized weighing and dosing solution to make your laboratory applications fast, simple and worry-free. A comprehensive portfolio of mass comparators and comparator services for seamless traceability and highly accurate weighing applications. The portfolio is divided into three lines of Comparators: Manual mass comparator, Automated mass comparator and Robotic mass comparator. METTLER TOLEDO moisture analyzer provides fast, precise and reliable moisture determination in the laboratory and on the factory floor. 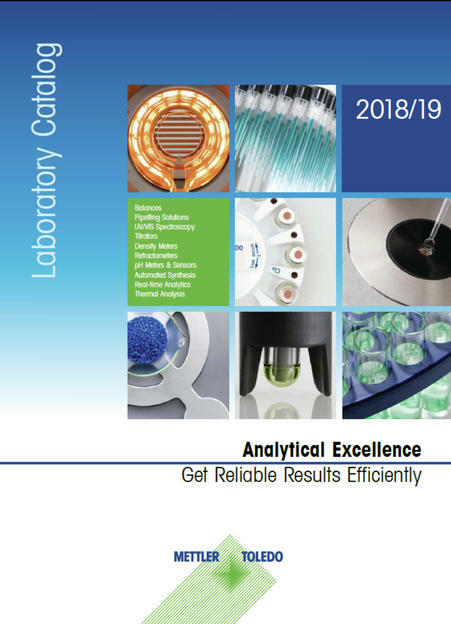 Robust and easy to use, you can be assured of long reliable operation whether you work in a highly regulated lab, or need to take moisture measurements for quality control of your products. Rainin is the leading provider of advanced pipette solutions for life scientists worldwide. We offer manual pipette, electronic pipette, multichannel pipette, BioClean pipette tips and expert pipette services that work together as a complete pipetting solution – Pipetting 360°. Top quality, innovative design and state-of-the-art production result in superior pipette products with years of reliable operation. UV/VIS Excellence spectrophotometers combine outstanding optical performance based on FastTrack™ technology with the intuitive One Click™ user interface. Excellent performance and reliable results are verified with the CertiRef module for automated performance verification according to our GUVP™ (Good UV/VIS Practice) package. The optional LabX® PC software allows for a quick and seamless spectroscopic workflows. A dedicated instrument for micro-volume measurments in the ultra-violet visible range, based on LockPath™ technology, is ideal for Life Science Applications. Our solutions for potentiometric titrators and Karl Fischer titrations focus on ease of use, flex­ibility and productivity. 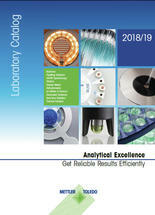 The complete range of titrators, autosamplers, sensors, and accessories covers most titration applications. Good Titration Practice™ Guidelines and comprehensive application literature ensure reliable titration results. The unique One Click Titration™ operation keeps training times to a minimum and speeds up workflows. The days of manual determinations with pycnometers, hydrometers and optical Abbe refractometers are a thing of the past. Our digital density meter and refractometer determine the refractive index and density simply, accurately, and even simultaneously in a multi-parameter system. A wide range of applications is available, including Brix, HFCS, alcohol content, Oechsle, Plato, API gravity and many other concentrations. From basic handheld pH meter to flexible multi-channel pH meter, METTLER TOLEDO offers a full spectrum of premium quality pH, conductivity, DO and ion meters. The top-of-the-line SevenExcellence pH meter, for example, provides great flexibil­ity through its modular design: Depending on the module attached, various parameters such as pH, conductivity, ION, Redox etc. can be measured at the same time. METTLER TOLEDO Automated Synthesis and Real-Time Analytics instruments are considered industry standard, providing information so that researchers can make better decisions to develop processes with higher quality, in less time, and at lower costs. We offer solutions for early phase development, Process Development and Scale-up and manufacturing. With respect to accuracy, standard compliancy and operational security the Melting and Dropping Point Excellence instruments form a worldwide standard in automatic determination of melting, dropping and softening points. Innovation sample preparation tools and the video recording feature make sure that the complete analytical workflow is performed efficiently, realiably and error-free.